We are instrumental in providing Plastic Laminated Tubes that are widely used in oral care, food, cosmetics and pharmaceutical industries. 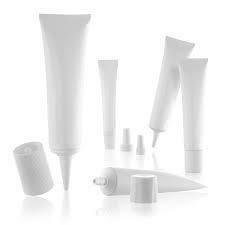 These tubes are highly reliable and are rapidly spreading its application area to cosmetics. Offered products are manufactured using high-grade tools and modern machineries under the guidance of our skilled professionals. These tubes are checked for quality at various quality check parameters during production. Customer can avail customization facility to get the desired product in accordance with their given specifications. Pioneer Group of Industries has come a long way from a single-line manufacturing facility established in 1978, originally known as Bombay Tubes & Containers, was later rechristened as an independent manufacturing facility namely Pioneer Extruders Pvt. Ltd. in 1985 with four lines; to six manufacturing facilities today spread across two states and one union territory on the western coast of India. With a humble beginning of Aluminium Collapsible Tubes Pioneer Group has diversified into Aluminium ROPP Caps, Aluminium Bottles, Aluminium Cans, Co-extruded Seamless PE Tubes and Plastic Laminate tubes. Today, Pioneer Group has emerged as one of the leading and reputed manufacturers of Aluminium Collapsible Tubes, Aluminium ROPP Caps, Aluminium Bottles and Aluminium Cans. With our latest addition of Co-extruded Seamless PE Tubes and Plastic Laminate Tubes to our product stable we bring an added advantage to our existing and prospective customers of all services under one roof. One of the driving force of our growth has been transparency with our customers and our customer centric approach. We at Pioneer Group practice highest level of cGMP at all our plants thereby bringing immense confidence to our customers to pack their products effortlessly. We strive to constantly evolve and services and technology to meet global standards. As part of our continuous conquest to live up to our customer’s satisfaction and changing needs we have recently introduced a unique concept, first of it kind in tube industry namely Customer Care Service as a single point contact for both our internal and external customers.All manufacturing activity is performed under positive air pressure.